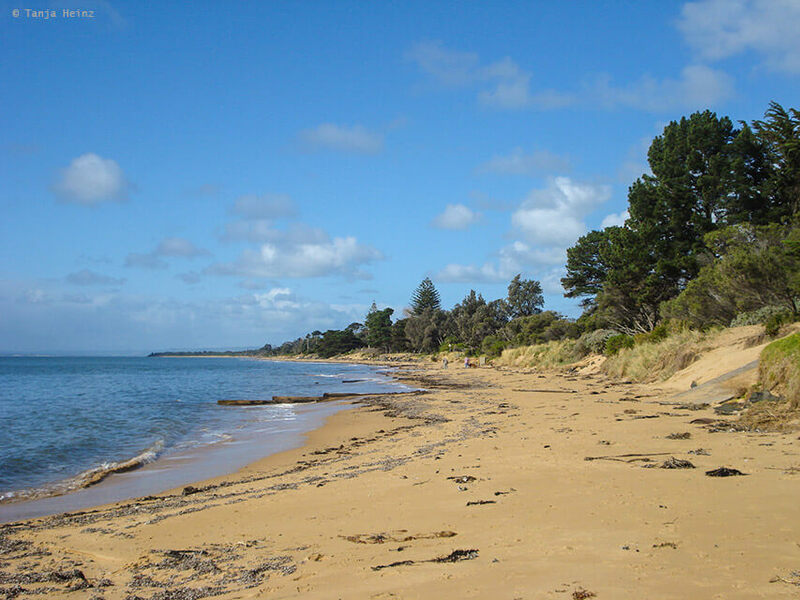 After a nice but also kind of exhausting week in the city of Melbourne, my next stop was Phillip Island in Australia. Why? I wanted to observe wild penguins. 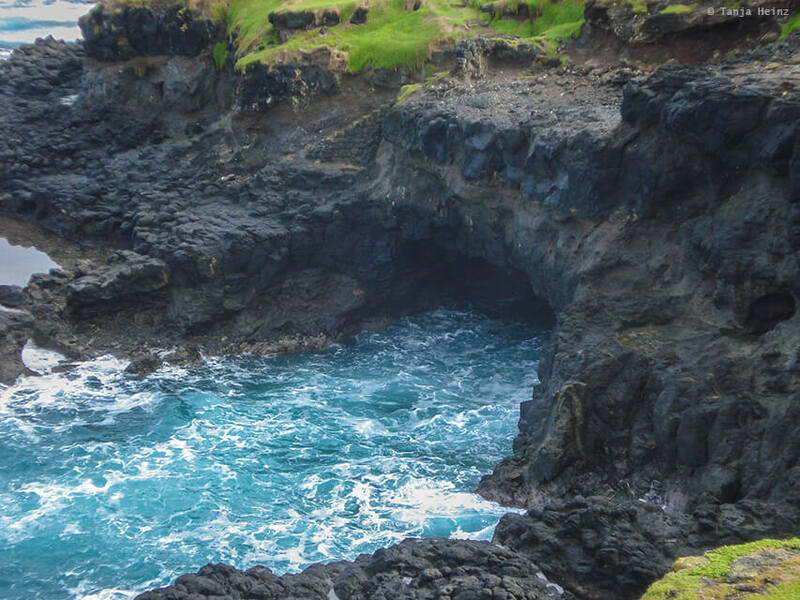 When I told about my intentions in a Melbourne hostel travelling 3 days to Phillip Island all travelers just shook their heads and commented on my plan: “What do you want on Phillip Island for such a long time?” and “There is nothing to see, except the penguins!”. 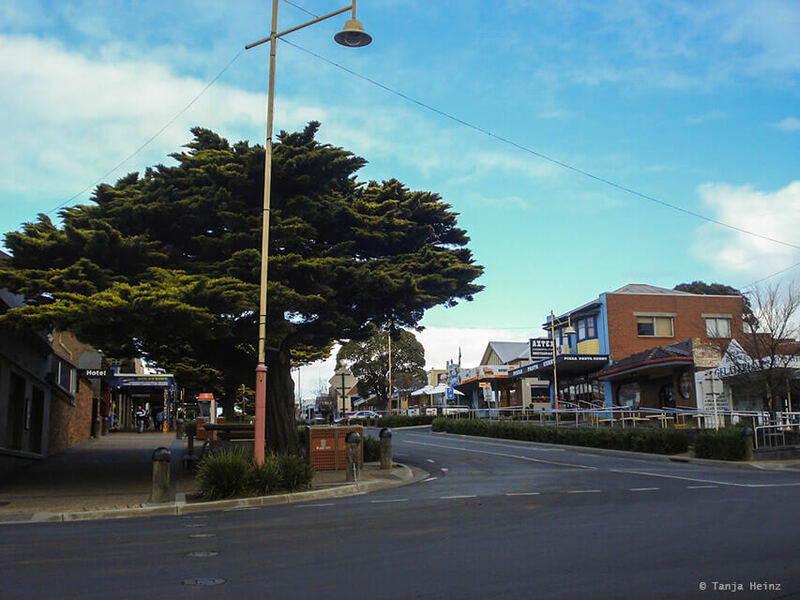 However, I was convinced that Phillip Island is a very special place on earth. In retrospect I can say that I was right – at least it was right for me. I was just not interested joining a one-day-tour from Melbourne. Sometimes I participated on organized tours in Australia, but other times I just wanted to explore places on my own. 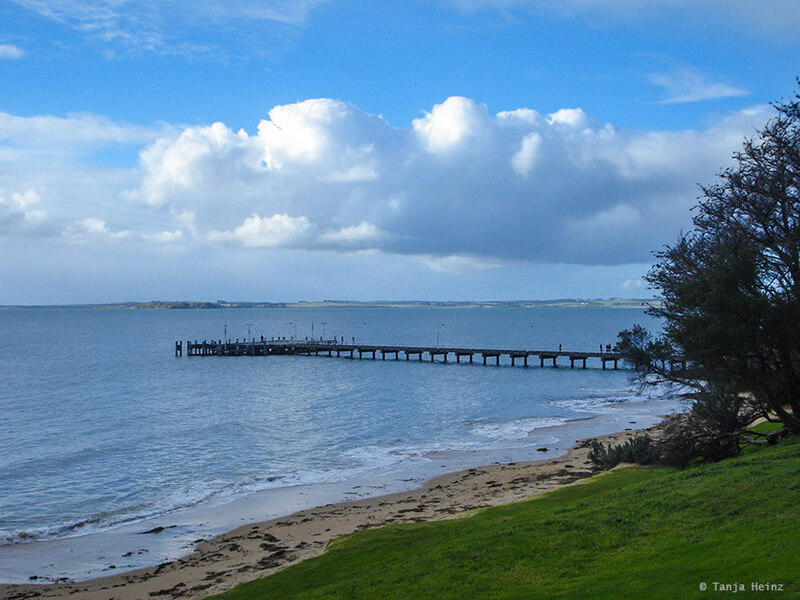 I like both, but on Phillip Island I wanted to stay for more than just one day. 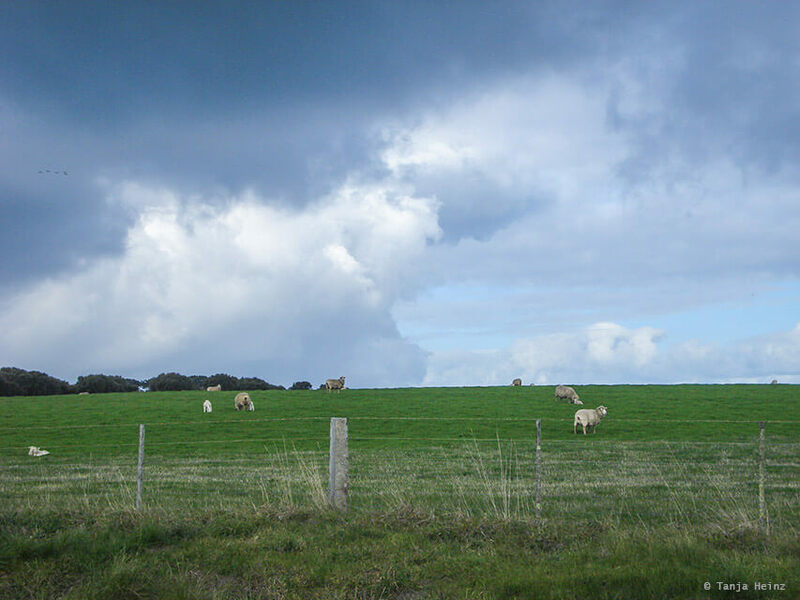 On Phillip Island I was not only impressed by the fauna, but also by the hospitality of Australians. In the little bus to the peninsula I got into conversation with an elderly couple – Max and Mary. They were so delighted about my plan to visit their beautiful home on my own. Therefore, they invited me for the next day for dinner. Furthermore, Max wanted to show me the wallabies of Phillip Island. Their warm welcome was indeed very special to me. However, after arriving in Cowes, first I went to the hostel. And there again I experienced the sympathetic and honest hospitality of Australians. I actually booked a bed in a dorm. However, as the people from the hostel didn’t want to put me in the same room together with a group of Italians who came to Australia for the World Youth Day, the staff of the hostel gave me a small wood cottage for me alone. Wow. Only on the third day a nice American shared the cottage with me. After arriving at the hostel and some time of relaxing I went to the house from Max and Mary. They showed me their beautiful house and told me some stories from other travelers on Phillip Island. 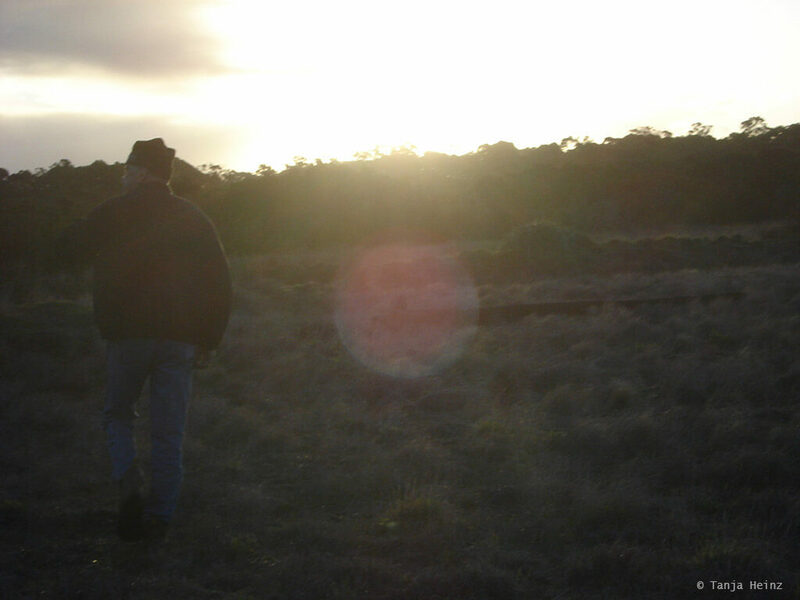 Then Max and I left Mary behind to go on search for wallabies. As a local, Max knew where to find wallabies. 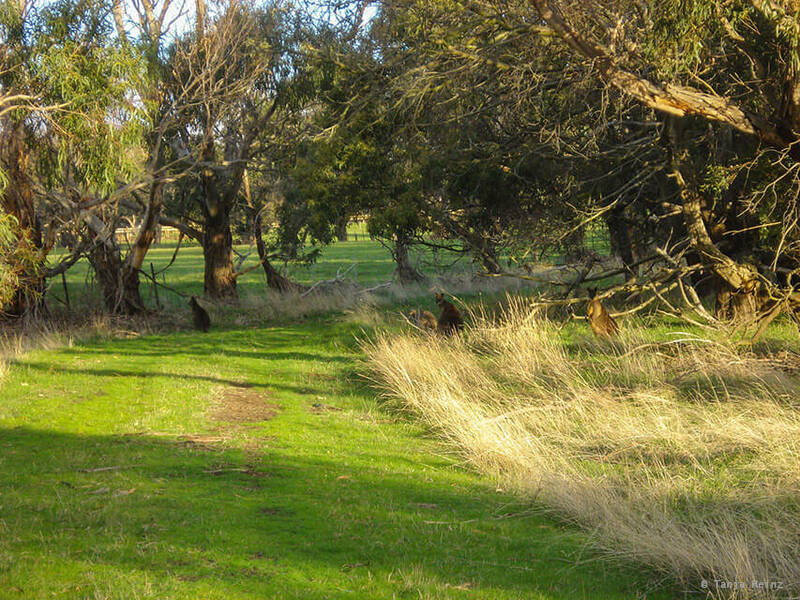 We found groups of wallabies, but also individual animals. 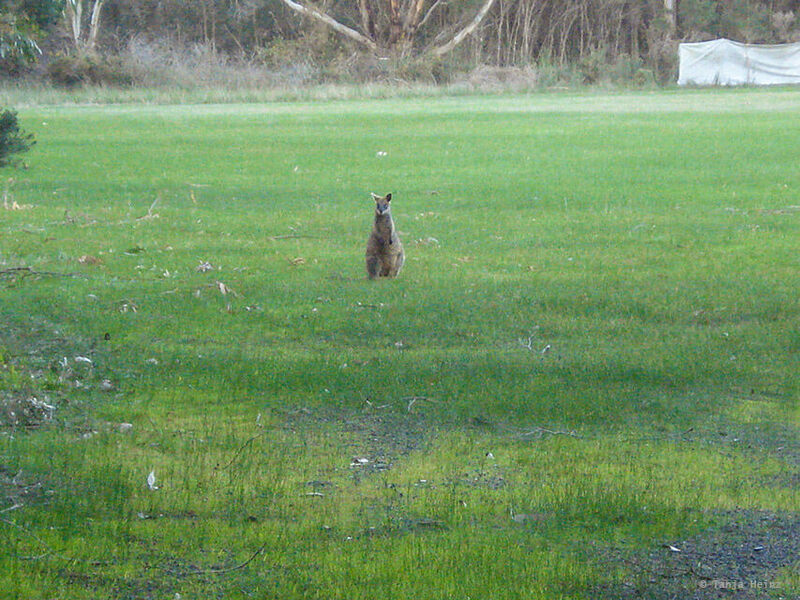 In general I observed that the wallabies were much shier than those wallabies I had seen before. Maybe it is because they are not used to a flow of tourists? Nevertheless, I was very grateful to get a glimpse into the life of wild wallabies on Phillip Island. 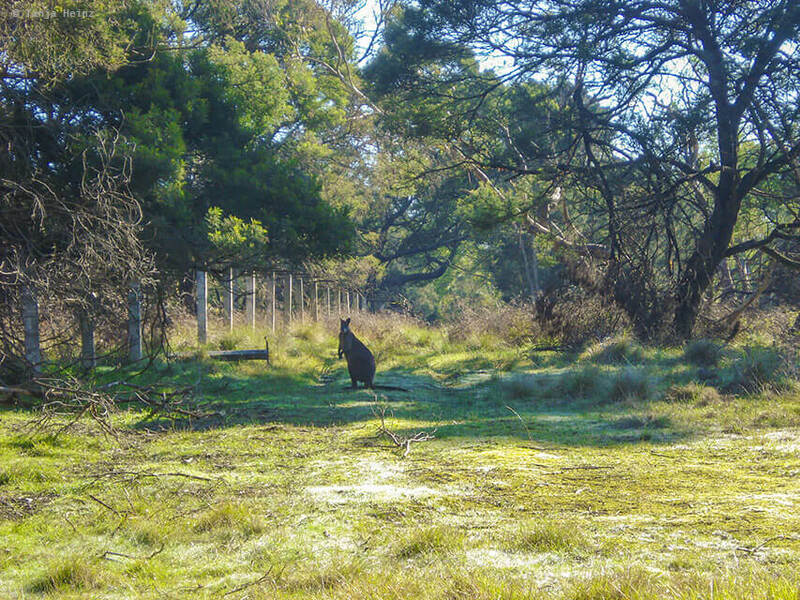 Without Max I would not have seen any wallaby on Phillip Island. 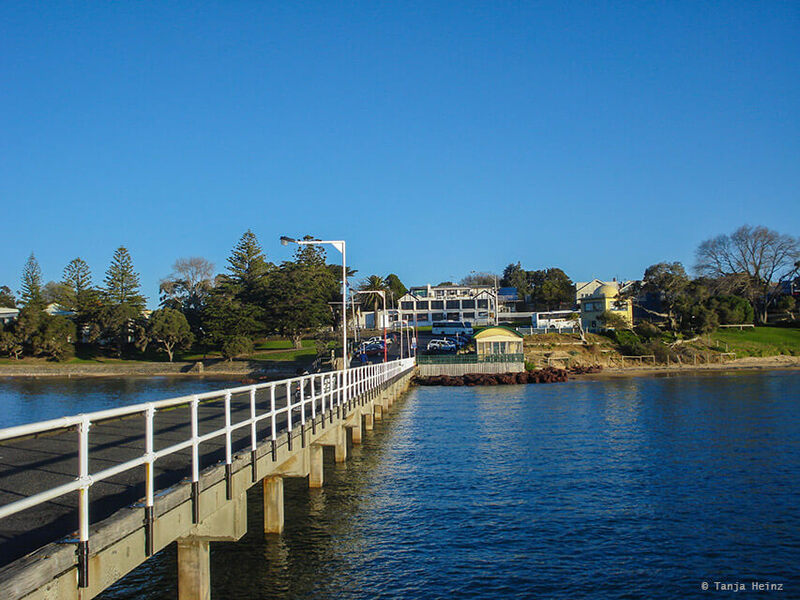 In the following days I explored the peninsula on my own, including the small town Cowes. 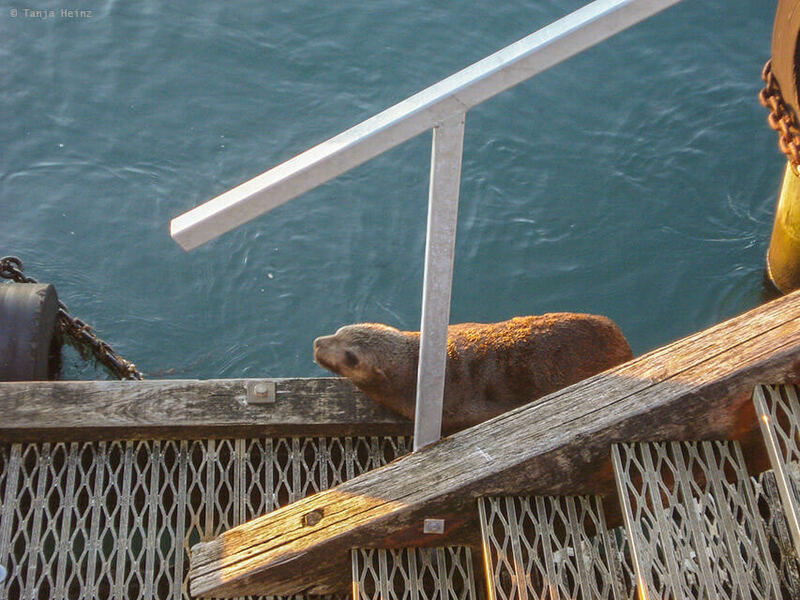 On one day I observed an Australian sea lion at the jetty. The animal appeared relaxed to me, but also a little bit alone. Maybe s/he just needed some time off from living in a colony like I do from big cities? I explored the peninsula by bike. At the beginning the weather was mostly rainy, however, it didn’t hinder me to ride a bike. It was definitely worth it. 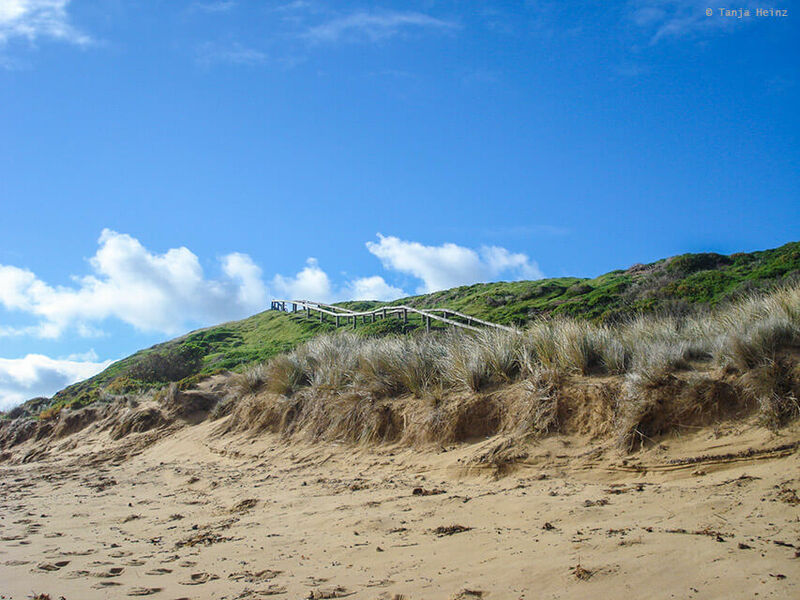 Phillip Island is worth a visit not only for the penguins, but also for their wonderful landscapes. Luckily, the weather was rainy only at the beginning. 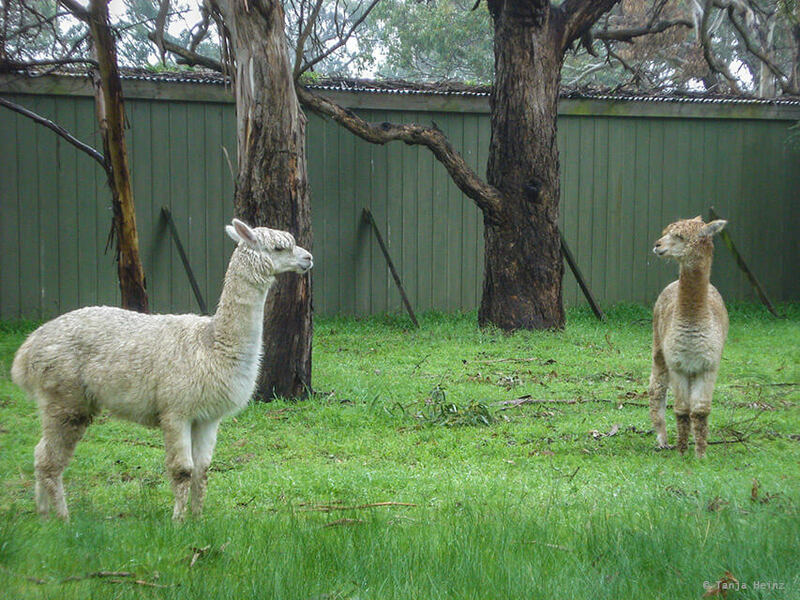 Farm animals like alpacas, cows, and sheeps characterize the landscapes on Phillip Island. During my explorations by bike I “had to” stop again and again because the beaches on the peninsula were so inviting for a walk. 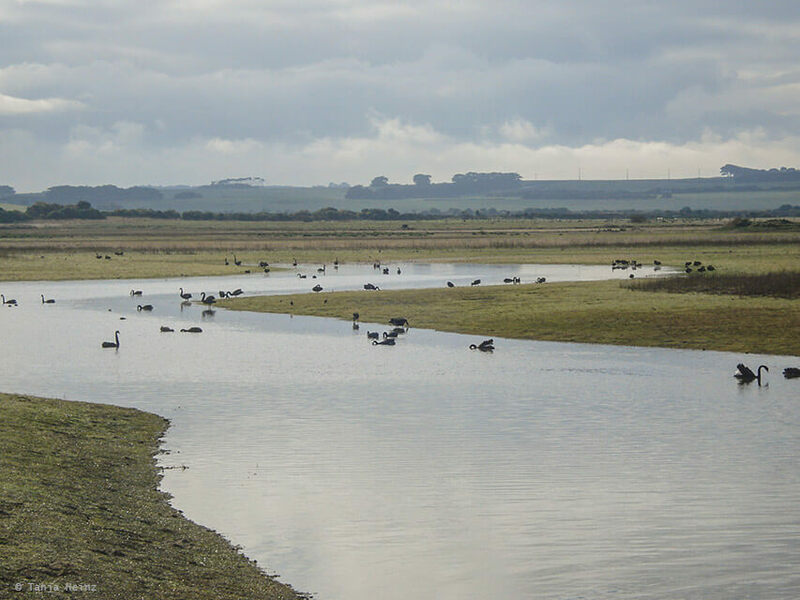 An unexpected highlight on Phillip Island was the Swan Lake and the marshy landscape close-by. 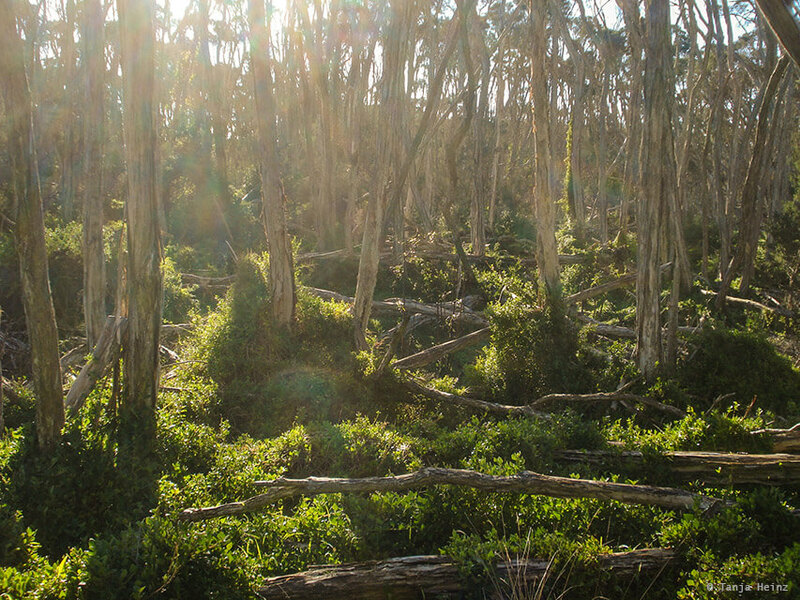 In order to reach the Swan Lake I had to bushwalk through a forest of eucalyptus. At the swan lake animal observers can watch black swans from a small observation hut. Both the marshy landscapes and the Swan Lake are easy reachable by foot. 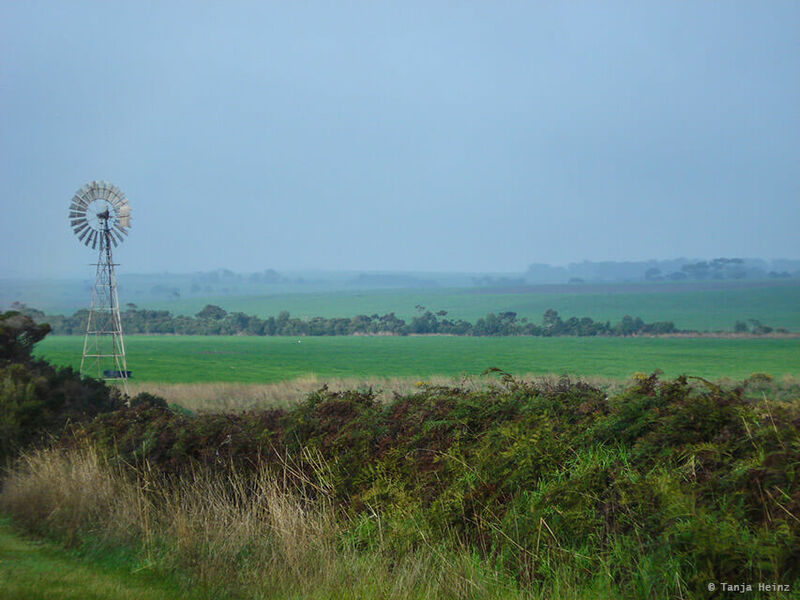 From an observation point within the marshy landscapes I observed two typical Australian birds. 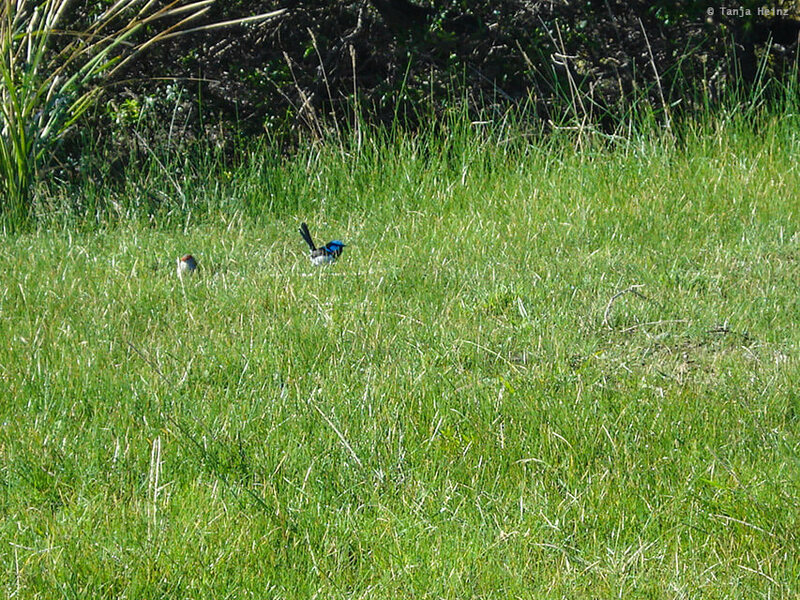 That is the red-browed finch (Neochmia temporalis) and the Superb fairywren (Malurus cyaneus). I tried to be as invisible as possible to observe them as long as possible. 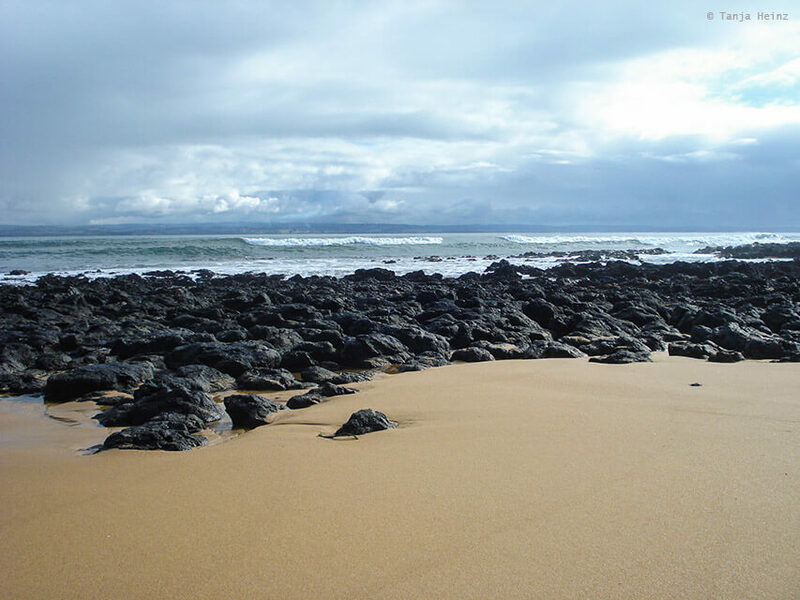 However, despite the beauty of the peninsula, I did not lose my actual purpose why visiting Phillip Island. That is the little penguins and their “penguin parade”. But what is the “penguin parade”? Little penguins (Eudyptula minor) leave their nesting sites during the day to go fishing in the sea. But shortly after sunset they come to land again and waddle back to their nest burrows in the sand dunes. Visitors of the “penguin parade” can observe this spectacle from an observation platform. 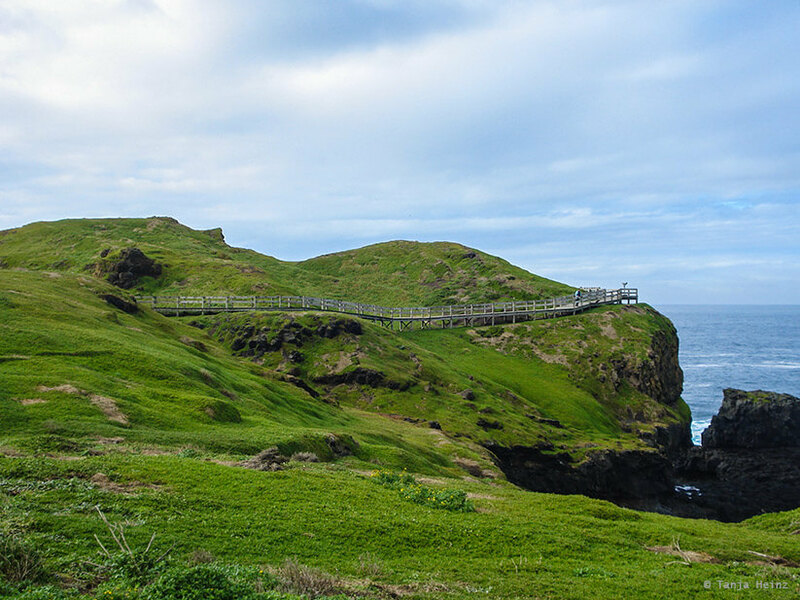 There is also a wooden track where visitors can observe the penguins a little bit closer. As much as I enjoyed the “penguin parade” and that much I want to support this way of animal observation, I was thinking about the words of the presenter of the “penguin parade”. 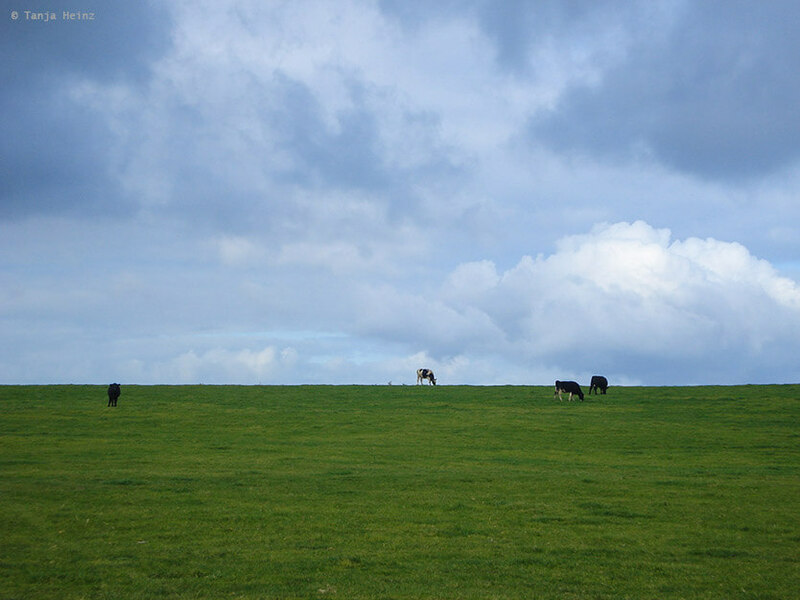 I was on Phillip Island in 2008. In this year there were two observation platforms. However, the presenter told us that they have plans to make the “penguin parade” bigger. I do not live there and I was there for only 3 days. But I have mixed feelings about the idea of big flows of tourists. However, my impression was that the people of the “penguin parade” are considerate with the little penguins. For example, visitors were not allowed to bring their cameras. Visitors were obliged to leave their cameras at the entrance. As penguins have very sensitive eyes flashings lights of cameras would just damage their eyes. Little penguins are the smallest penguins out of the 17 different penguin species. On average they reach a size of 33 centimeter and weigh only about 1 kilogram. However, males are slightly heavier than females. Little penguins breed in colonies in Southern Australia and New Zealand. 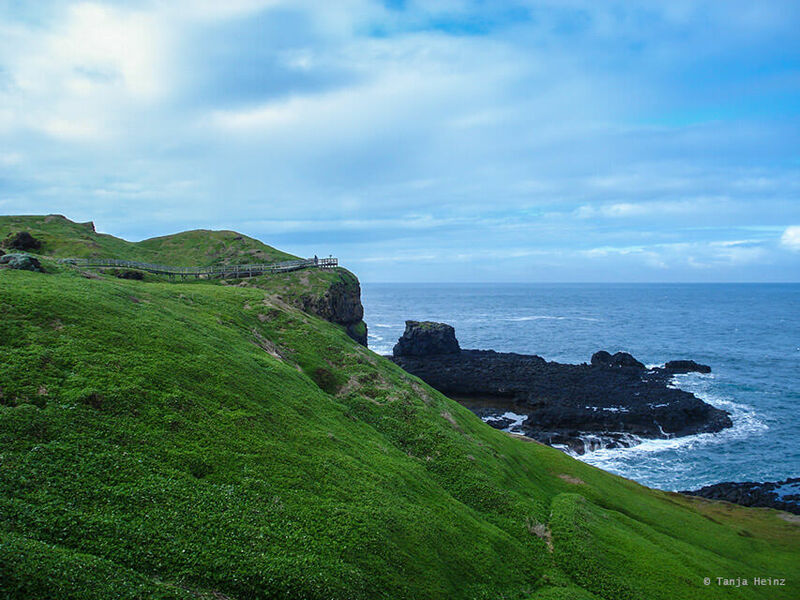 Approximately, there are 32.000 breeding adult little penguins on Phillip Island. The worldwide population is estimated to reach one million. They spend 80% of their time foraging in the sea. They come on land for molt, breeding and rearing their offspring. Of course, they also spend time on land just to take some rest. However, they can spend months out in the sea. Unfortunately, little penguins are exposed to numerous threats. For example, overfishing, marine pollution and introduced animal species like foxes. 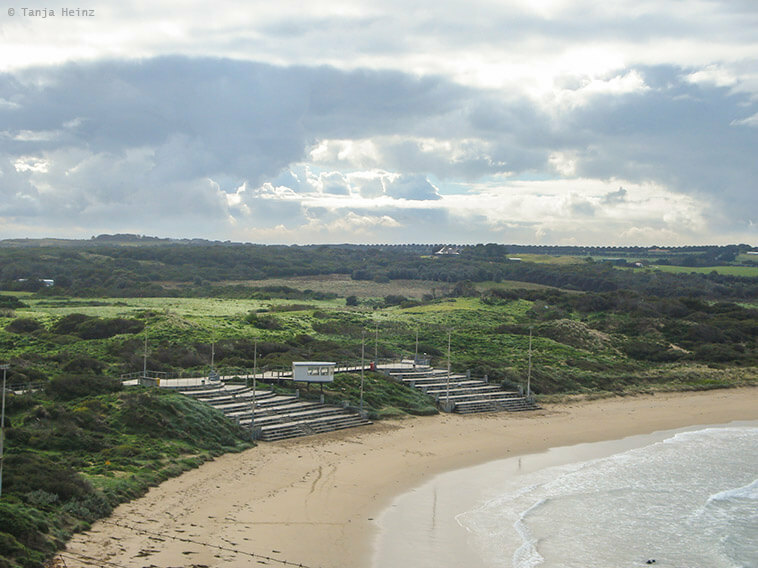 However, the problem with the foxes is not unique to Phillip Island. 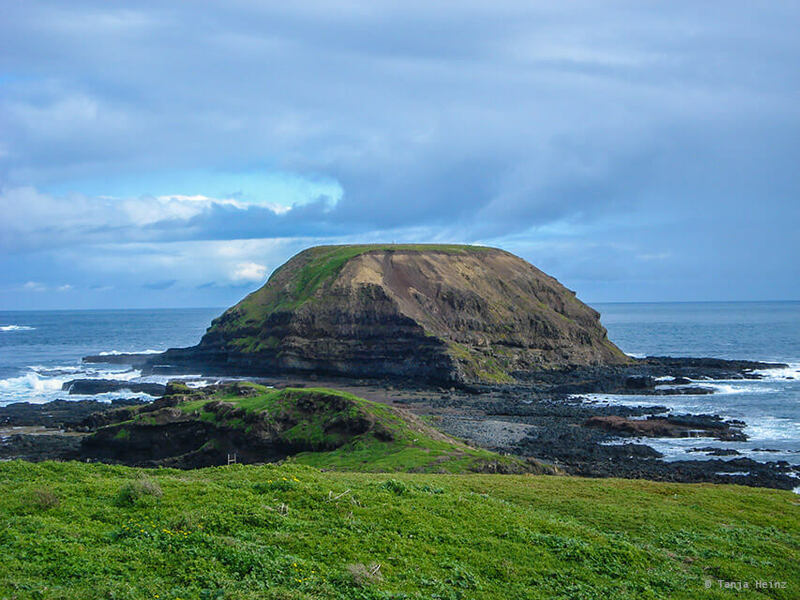 Another place, for example, where little penguins are exposed to foxes, is Middle Island close to Warrnambool in Southern Australia. On Middle Island they use dogs to pretect penguins from foxes. The story became famous, and thus, was filmed in the movie Oddball. However, another introduced species on Phillip Island are wild rabbits. They do not have any direct negative influence on little penguins, but they are a “pest” like the foxes on Phillip Island and other places. They compete with native animal species for food and destroy the Australian vegetation. Thus, here on Phillip Island I asked myself quite often: What is more important, animal protection or species conservation? Max and his best friends go for a walk with their dogs every night to hunt rabbits. They warned me it would be gruesome. However, I joined Max and his friend this other night when he and his wife invited me for dinner. When Max and his friend spotted some rabbits they released their dogs. Yes. It was gruesome that the dogs killed the rabbits. However, I could not judge Max and his friend for this act. They don’t kill animals just because it’s fun. No. 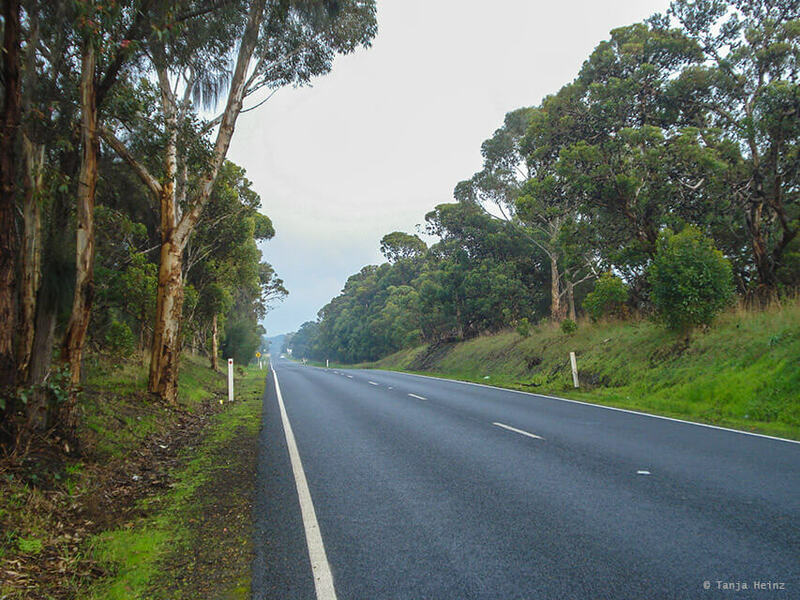 They kill the rabbits because they want to protect the native animals on Phillip Island. In order to stop extinction of native animals, introduced species like rabbits and foxes have to vanish. For me this is a dilemma. I could never kill a rabbit to save other animals. 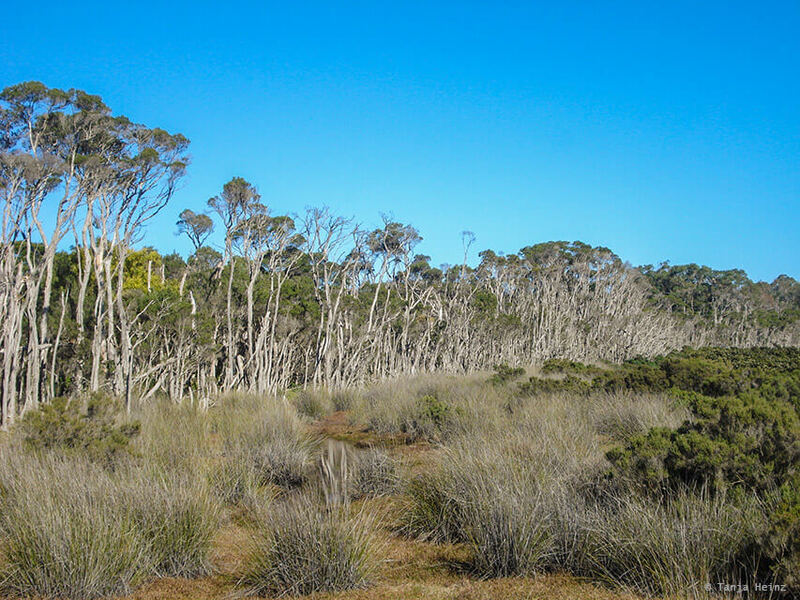 I asked myself, is there not a more human method to protect native species like the one on Middle Island? 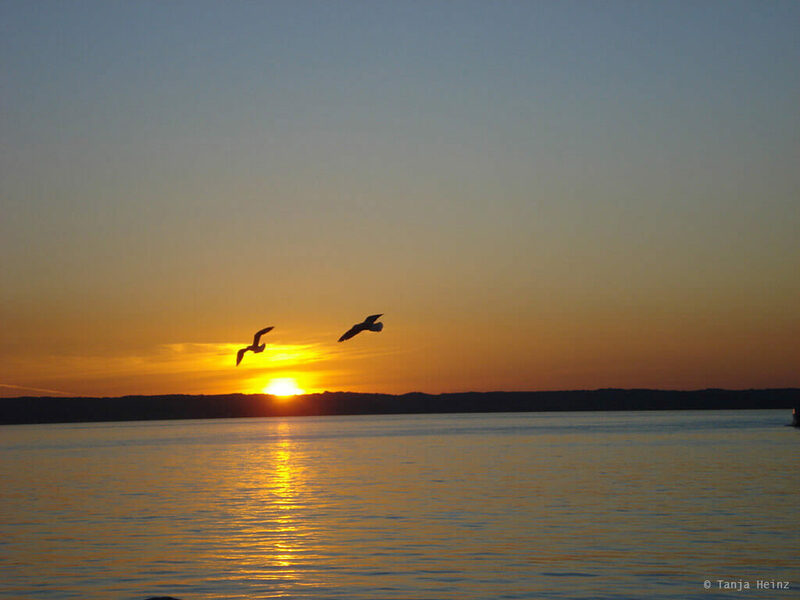 Although that night caused me to think much about animal protection versus species conservation, on my last day I tried to enjoy as much as possible the beautiful sunset on Phillip Island with all the seagulls flying around. 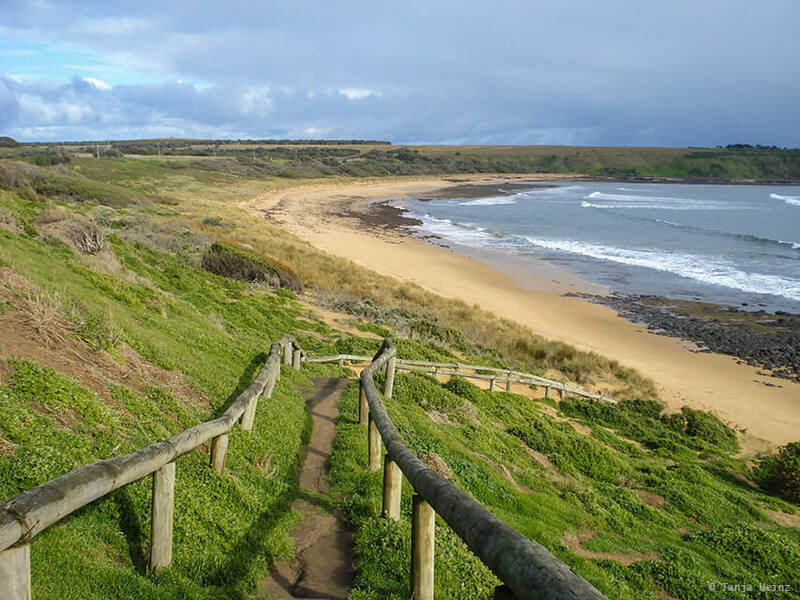 I still think back on Philip Island in Australia with joy and hope to see this breathtaking place again in my life.